President of Khan market association, Sanjeev Mehra, however, objected to the order, claiming there was no violation of any law. 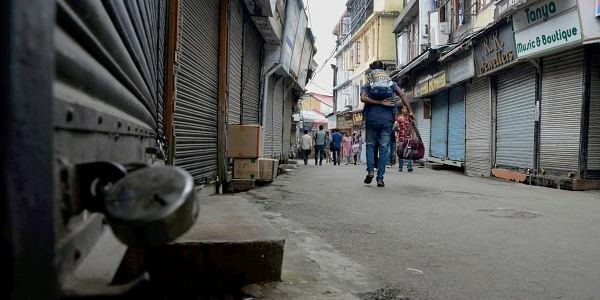 NEW DELHI: Thirty restaurants and seven other commercial establishments in Delhi’s upscale Khan Market may get sealed on Monday after they have been found violating provisions of the 2021 master plan. A Supreme Court-appointed monitoring committee, which is looking into the matter, passed the order to the New Delhi Municipal Corporation (NDMC). “To the best of my knowledge, all the 42 residential flats were converted and allowed to operate a commercial activity. Now to turn around and say that they are doing the business illegally is little unjustified and unwarranted because the NDMC themselves allowed the conversion after receiving the payments,” Mehra said. According to the master plan, traders using property for mixed purposes have to pay one-time conversion charge at the rate notified by the government. Many properties in the Delhi’s upscale market are used for dual purposes with a shopping outlet on the ground floor and an eatery on the first and second floors and according to the master plan this warrants for ‘Use Conversion Charges’. Mehra also said Khan Market owners have paid the conversion charges at the rate of Rs 86-89,000 per square meter while the current rates stand at Rs 22,600 per square metre. The owners may also approach the top court as a last resort, Mehra added. “If we come across such a situation, we will try to convince them with the documents available which will prove us to be bonafide law-abiding citizens. And in case they disagree to this also then we have no other option except to approach the Hon'ble Supreme Court,” he said.